It is a Cargo Transportation and Logistics ERP, for the management of logistics and shipping processes. Can be considered also as a TMS, Transportation Management System. Its main customers, transportation and logistics companies in UK, Portugal and PALOP, are using Transporter software to manage their logistics and transportation operations in real time. Works as a set of vertical logistics and transportation software applications appropriate to the reality of each company or logistical economic group. 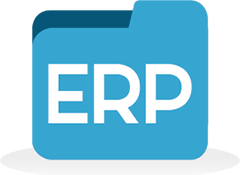 It integrates with leading market ERP solutions, as Primavera, PHC, Sage, Dynamics NAV and others, within the modules of sales, purchases, cash, stocks and inventory. Transporter Products can be purchased as perpetual licensing or as SaaS - Software as a Service, a logistics software rental agreement. A specialized software engineering team in logistics management solutions and ERP integration for SMEs in UK, Portugal, PALOP and other international markets. ©  Information Systems Engineering, Lda. 2018. All rights reserved.